The idea of using the second largest river on earth—Africa’s Congo—for electricity production has existed for over 100 years. Plans first proposed in 1928 were more fully explored during the European (and colonial) post-World War II industrial expansion. The idea of diverting the entire Lower Congo through electricity generators, Grand Inga was embraced by Apartheid South Africa, the Arab Republic of Egypt, and nations of post-Apartheid southern Africa. In the twenty-first century, as Europe seeks to mitigate carbon emissions, non-carbon producing electricity generation is defined as ‘green’ and ‘renewable’. The Inga Falls on the Lower Congo River are again attracting attention. This perception of Grand Inga as a saviour of European economies is not new. For centuries, Europeans have viewed Africa as a source of raw materials for economic expansion. With the advent of electrical power and its generation by flowing water, African rivers entered the domain of European extractive relations. Moreover, the trivialization of potential environmental harm that hydro-power development could cause is not new. Rivers across the continent have been dammed in the name of ‘development’, benefiting elites and international corporations with scant regard for environmental consequences. Plans for a massive Grand Inga Dam were replaced by studies of a Grand Inga Cascades in 2009 when engineers recognized catastrophic local consequences. Grand Inga is eligible for finance under Kyoto as a renewable technology. This designation was surely made without consideration of the river’s geomorphology, function and biogeochemistry as major constituents of the tropical Atlantic Ocean. This is because the Congo—and its influence—do not stop at its coastal mouth. A vast submarine canyon extending 730 km from the coast and ending in a 300,000 km2 fan on the ocean floor serves as a major conduit of terrestrial minerals and carbon to the deep sea. On the surface, the river’s plume has been detected 800 km offshore. Accumulating marine evidence indicates the Congo’s significant influence on the equatorial Atlantic, which, in turn, is central to many climate change models. 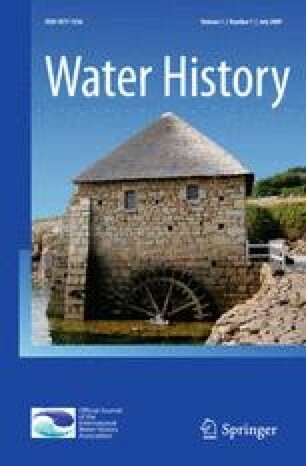 Analysis of the development of electricity, its infrastructure and policies at a continental scale articulates the global political economic context of Grand Inga’s long environmental history, while environmental impact analysis at an Atlantic Basin, rather than at strictly local scale, indicates potentially serious global consequences.